The console war between the PS4 and the Xbox One is one that will rage on for years to come, and it won’t be until the next generation consoles are bedded in and more games are released onto each platform will we really get a sense of which console is superior. However, Red Barrels – developer of popular PC game Outlast – has gone some way into proving that the PS4 is an absolute powerhorse. Whilst the PS4 has outsold the Xbox One so far in 2013 with 4.2 million units compared to 3 million units, it doesn’t necessarily prove one is more powerful than the other. 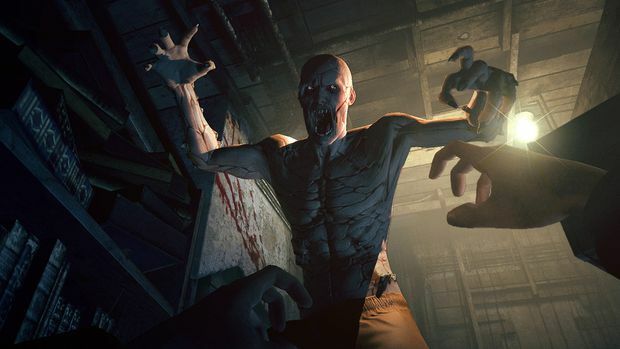 Fortunately, Philippe Morin, co-founder of game developer Red Barrels, in an interview recently spoke of the experience of porting the very resource intensive Outlast game to the PS4. According to Morin, the PS4 version of Outlast will run at 60 fps just like the PC counterpart, and will be at full 1080p HD as well. What is most significant about this is that Morin stated that there were no issues porting the game across when it came to system resources. It is interesting that system resources were not an issue since it was revealed that the single core speed of the PS4’s CPU is lower than that found in a high-end PC, so it would be easy to assume that Outlast on PS4 wouldn’t perform as well as it would perhaps on a gaming PC. When asked about the differences between the PC and PS4 version of Outlast, Morin admitted that there are no differences between the quality or performance of the game on the two different platforms, and as far as the developers are concerned both versions look the same. I have to admit that I have just purchased a PS4 after jumping from an Xbox 360, and it is absolutely incredible, seemingly running games that look absolutely amazing, so it’s great to hear high-performance demanding titles are being ported from the PC without any issue. Let’s hope the Xbox One can handle the same demands. Outlast for PS4 will be available in February.